A solution to the mystery of Macbeth’s witches. FEW NEATER COMPLIMENTS WERE ever paid an English monarch than that with which James I. was agreeably surprised on his first visit to Oxford on August 25th, 1605. Immediately on his arrival he was arrested in front of St. John’s College by three youthful scholars in the guise of nymphs, who, in Latin verse penned by Matthew Gwinne, explained that they were the sibyls of old who had prophesied the rule of Banquo’s issue, and came now to promise him all happiness and the continuance of the Banquo dynasty upon the British throne. A trifle less than two months later, when the King’s Players visited the University city, one at least of their number was hugely interested on hearing of the King’s satisfaction with this well-conceived device. Among his rare capacities as actor-dramatist was that of exploiter to the full of the potentialities of a new and imperfectly expanded idea, and his name was William Shakespeare. In the rich soil of his brain the academic seed quickly germinated, and the result, as one takes it, was the tragedy of Macbeth, produced, in all probability, at the Globe somewhere about the Easter of 1606. AS HANDED DOWN TO us in the First Folio, this sublime effort resembles nothing so much as a vast and venerable Gothic cathedral which has had the misfortune to be tastelessly tinkered by an unimaginative restorer. The twilight gloom and mythic atmosphere remain, but there are jarring discords in the “frozen music” which rudely mar the subtle harmonies of ordonnance. An alien hand and a disturbing one has long been detected in the witch scenes, indicating, after the manner of the day, a clumsy revival of the play for reproduction after the bloom of novelty had worn off. Many as have been the attempts to solve the mystery of this sophistication—to determine when it was perpetrated and by whom—none has succeeded because none was able to gather together all the necessary components of the jig-saw puzzle. While the present writer cannot pretend that he has recovered all the missing pieces, it is his belief that the few which long and ardent research has placed him in possession of only require proper adjustment to enable the onlooker to arrive at an accurate perception of the main characteristics of the picture. Suspected though it has been for long, it is only within recent years that the sustained influence of the Stuart court masque on the extrinsics of contemporary dramaturgy has been scientifically demonstrated. It was quite in the natural order of things that the quaint antimasque dancing seen in these gorgeous holiday entertainments should have been transferred in due course to the boards of the Globe and the Blackfriars, where they served as adventitious aid to the attractions of new plays. Dekker has revealed to us allusively in a dedication that the antimasques, in close contrast with the grave terminal masque-dancing in which only those of blue blood and the blood royal participated, were invariably performed by professional players; and it has been satisfactorily deduced from other sources that the King’s Players, by right of their style and title as well as their artistic preeminence, enjoyed for long a pleasurable monopoly of the work. He is loth to make nature afraid in his plays, like those that beget tales, tempests, and such like drolleries, to mix his head with other men’s heels; let the concupiscence of jigs and dances reign as strong as it will amongst you; yet if the puppets please anybody, they shall be entreated to come in. Be it noted there was no redundancy in rare old Ben’s twice-used phrase, “jigs and dances.” The point has pertinent application to our present inquiry. In his day the term “jig” was commonly taken to mean a song in dialogue, and his use of it here indicates that concerted pieces, like the interpolated “Come Away” of Macbeth, had already become popular. It is a nice question and a relevant one how far back extended this system of appropriating features from the court masques. Designed as a comic contrast to the staid dancing of the nobility, the antimasque was the invention of Ben Jonson, and is not to be traced earlier than 1608. Before that, nevertheless, appropriation had begun. One of the features of Campion’s Masque in honour of Lord Hayes’ marriage, as presented at Whitehall on Twelfth Night, 1607, was a courtiers’ dance of helmeted knights, in which the illusion of bare flesh gleaming through armour-joints was given by clothes of carnation satin largely covered by broad silver lace. There is little room for doubt that here we have the source of the dance of knights in armour in Pericles, a circumstance, since transferences of the sort were seldom delayed, which dates the play ca. May, 1607. One takes leave to think that the first antimasque of any particular note would be eagerly fastened upon by its professional exponents for reproduction in the playhouse; and the earliest to which the description applies was the “Antimasque of Witches” in Jonson’s Masque of Queens at Whitehall on February 2nd, 1609. Of the success of this, heightened as it was by a lurid scene of Hell designed by Inigo Jones, there can be no question. Elaborate charms and incantations were performed, and the twelve uncanny hags, marshalled by “the Dame,” delighted the aristocratic assembly with two weird dances, the one at the close of the scene “full of preposterous change and gesticulation,” contrary in every way to human habitude, executed, as Jonson tells us, “back to back, and hip to hip, their hands joined, and making circles backward, to the left hand, with strange fantastic motions of their heads and bodies.” The music composed for their dances, it is to be noted, is still extant, happily preserved in a unique collection of instrumental masque music in the British Museum. ASSUMING IN ACCORD WITH the general mass of evidence that sundry members of the King’s Company were the performers of this antimasque, one can conceive of no difficulty serious enough to bar the way to its public repetition once the idea had been entertained. It was not even beyond the power of the players to obtain the use of the fantastically elaborate dresses originally worn. All the court masquing attire was in the custody of the Yeoman of the Revels, whose office was then and had for long been held by Edward Kirkham, formerly a co-manager of the Blackfriars Theatre. Kirkham’s position was one of no particular emolument, and he was not above lending out dresses for a consideration. It is, moreover, worthy of remark that in 1609 the Revels Office and Wardrobe were situated in Whitefriars, only a very short distance from the Blackfriars Theatre, which the King’s Men had just taken over. Circumstances militated for long against the public reproduction of the Witch Dances. Theatrical affairs were in a transitional state, and things generally were in a bad way. Plague had occasioned the closing of the playhouses in July 1608 and, save for a few days at Christmas, acting was not permitted again till late in November of the following year. One result of this, it would seem, was that Shakespeare, no longer a player and wearied out by his spell of corrosive inaction, retired for good to Stratford-on-Avon, thenceforth only taking occasional trips to town to bring his old associates a new play and to receive from them his dividends as “housekeeper”. In pursuit of their project of transferring the salient characteristics of Jonson’s antimasque to the regular boards, the King’s Players were confronted by only one difficulty. The dances were not of a nature that allowed of their introduction into any or every play, and it was deemed that nothing short of the provision of a new piece endowed with a suitable milieu would satisfactorily solve the problem. 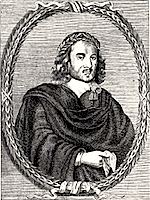 Few dramatists could have been more anxious for commissions at this grave juncture or more wishful to get breaking new ground than Thomas Middleton, who had found himself rudderless with the collapse of the two children-companies for which he had been writing. With things at a standstill, there was no opportunity of pick and choice, and, girding up his loins, Middleton thankfully accepted the commission. 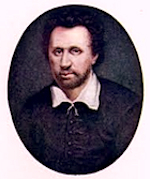 Faced with the task of painting in a harmonious background to Jonson’s hags, he was compelled to shelve his realistic predilections, so long exercised to advantage in mirroring contemporary London life, and to set about writing his first romantic play. It by no means surprises that the result was not wholly satisfying. By dint of amalgamating a high-flown tale of Belle-forest with a tale of wizardry found in Scot’s Discoverie of Witchcraft, Middleton succeeded in excogitating his tragicomedy of The Witch, a composition marked by much fluent versification and some flickering imaginativeness, but in which not all the ease of the writing can conceal the lack of homogeneity. That she quickly anoint, and come away. Moreover, the curious direction in Act I., sc. 2, of The Witch, “Enter Heccat, and other witches (with properties and habitts fitting),” warrants us in assuming that the hags in the play wore the identical dresses of the hags in the masque, since it recalls Jonson’s intimation that the latter were “all differently attired; some with rats on their heads, some on their shoulders, others with ointment pots at their girdles; all with spindles, timbrels, rattles, or other beneficial instruments, making a confused noise with strange gestures” To make the inspiring cause of Middleton’s play the more assured, it is only necessary to add that, like The Masque of Queens, it had two witch dances, but danced by six performers, not twelve, as in the prototype. Bear in mind these six witches: they will help us very materially to read the riddle of Macbeth. Circumstances show that, despite the failure of The Witch, the King’s Players were anxious to preserve its song and dance, then – on Jonson’s testimony – features of growing popularity, and, at some subsequent period, certainly not remote, commissioned Middleton or another to alter Macbeth more or less with a view to their introduction. Much as we have reason to deprecate this tinkering with a masterpiece, the custom of the times may be pleaded in mitigation of the offence. For fully a decade it had been usual on reviving an old play at court or on the stage either to add some spectacular feature or furbish the text. There can be little doubt that to the exigencies of court performance we owe the masque in The Tempest and the disfiguring vision scene in Cymbeline. So long as he was on the spot, and, possibly, in a few cases later when there was time to communicate with him, Shakespeare made the demanded revision of his own plays; and the fact that the alteration of Macbeth fell to another hand indicates that he had already retired into the country, and that the revival of the play was suddenly and hurriedly arranged. All the circumstances point to the opening of 1610 as the period of sophistication. Whether or not Middleton’s was the desecrating hand to be detected in the tragedy, it is highly requisite to point out that the argument upon which that assumption is based, viz., the intercalation of his two songs, has absolutely no validity. Why should the idea prevail that the players had to gain Middleton’s consent before making use of his material, and, as a set-off to the appropriation of his songs, gave him the commission to alter the tragedy? Whether success or failure, once a play had passed from the author’s hands, it was no longer his, but became the absolute property of the players. Hard fact shows that they could do with it what they pleased. Songs were freely transferred from play to play. After doing duty in Measure for Measure, “Take, oh, take those lips away” entered upon renewed life years later in Fletcher’s The Bloody Brother. Much more remarkable is it to find that when Love’s Pilgrimage was revived in altered form by the King’s Men in 1635, it had absorbed a considerable portion of the opening scene of The New Inn, Jonson’s ghastly failure of 1629. Fleay egregiously avers that this was done with Jonson’s knowledge and consent, but rare old Ben was not built that way. He simply had no choice or voice in the matter. WHILE IT IS NOT my present purpose to make offer at a determination of the vexed question of the exact quantum of additions, alterations and abbreviations existing in Macbeth, it is necessary to emphasise that all the vital changes were made with the view of incorporating with the play all the vocal and choreographic features of The Witch, the main reason why the great scenes remain unspoiled. Hence sophistication is most readily to be detected in Act III., sc. 5, and in IV., 1, where the style of his witch scenes pervades. One even finds it in that long-baffling stage direction (egregiously assumed to be a blunder), “Enter Heccat, and the other three witches.” Here the additional three go to make up the necessary complement, otherwise the six of Middleton’s play, whose original representatives, it is hardly to be doubted, were pressed into service for the purpose of the dancing. This increase in number so as to constitute an exact parallelism is not alone eloquent of the source, but indicates a certain measure of rapidity in the transference. In other words, the acceptance of this hypothesis involves the dating of Macbeth, in the form in which it has come down to us, not later than 1610. And, by a remarkable coincidence, Dr. Simon Forman records having seen the tragedy at the Globe in April of that year. Whatever may be the flaws in this solution, it surpasses all others in affording a master-key to many locked doors. Repudiate it and Shakespearean exegesis must continue to stand aghast before the oppositions and perversions brought into the tragedy by the attributes of “the crowned empress of the nether clefts of Hell”: attributes due to the infiltrations of a second mind, incongruous with the primary conception of the three weird sisters, and serving no end beyond disturbance of the equipoise. William John Lawrence (1862-1940) was a salesman with a passion for Elizabethan theatre. He was already the author of biographies of actors Gustavus Vaughan Brooke and Barry Sullivan, when, at the age of forty, Lawrence decided to become an independent scholar and devote himself to the study of the history of the theatre. He produced many often contentious periodical articles devoted to settling scores and starting controversies (he had a special aversion to the illustrations commissioned by academic publishers for books on the theatre), and entered his fifties producing a major work, The Elizabethan Playhouse and Other Studies in two volumes (1912 and 1913). The present article has perhaps not received the attention it merits, but in 1930, ten years after the first appearance of this controversial “solution” in the Fortnightly, Lawrence was elected a Fellow of the Royal Society of Literature. His special contribution to learning was insistence that no drama, and least of all Elizabethan drama, could be understood without a minute knowledge of the theatre and the stage, and of all theatrical custom and usage. Unconventional, unhampered by academic or personal loyalties, and as shred as he was laborious, he blew away, in book after book, large quantities of conjecture and error, and left very little of his own for future students to blow away. 1. On this score, see my article on “The Date of The Duchess of Malfi” in the Athenaeum for 21 November 1919. 2. Add. MSS, 10,444, ff. 21 and 21b. Manually transcribed, with minor redactions to track usage, and republished from Vol. CVIII [No. DCXLVII] N.S., 20 November 1920. Please cite The Fortnightly Review [New Series] and fortnightlyreview.co.uk. This Fortnightly Review article is filed under the following rubrics: Dossier: Shakespeare in The Fortnightly, Film, Television, Video & Theatre, Principal Articles, The Fortnightly Review of Books. Publication: Saturday, 20 November 2010, at 00:23. Options: Archive for W. J. Lawrence. Bookmark the permalink. Follow comments here with the RSS feed. Post a comment or leave a trackback.